• Mohammad Fazl is a former deputy defense minister and chief of staff and commander for the Taliban army. "Detainee is wanted by the U.N. for possible war crimes including the murder of thousands of Shiites. Detainee was associated with terrorist groups currently opposing U.S. and coalition forces," according to a 2008 detainee assessment by the U.S. military. "If released, detainee would likely rejoin the Taliban and establish ties with ... elements participating in hostilities against U.S. and coalition forces in Afghanistan." • Abdul Haq Wasiq served as the Taliban deputy minister of intelligence and had direct access to the Taliban leadership. "He was central to the Taliban's efforts to form alliances with other Islamic fundamentalist groups to fight alongside the Taliban against U.S. and coalition forces after the Sept. 11, 2001 attacks," according to military records. 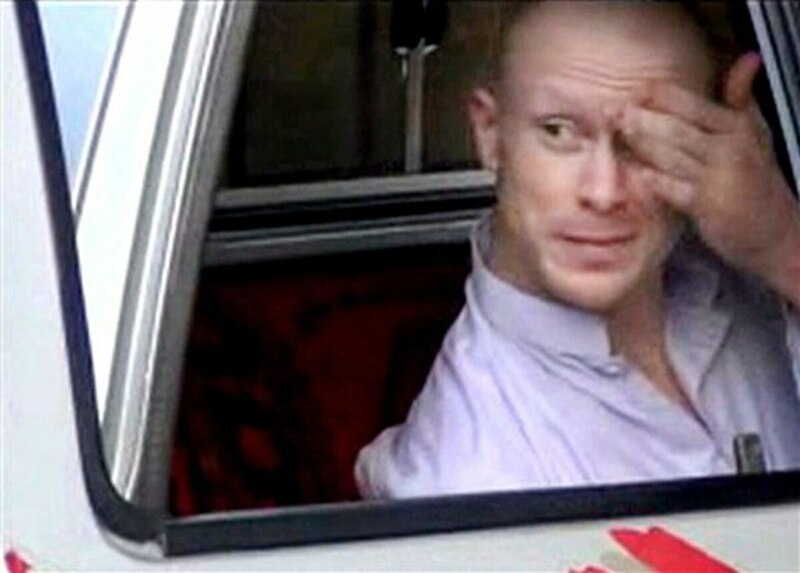 "Detainee utilized his office to support al-Qaida and to assist Taliban personnel elude capture. Detainee arranged for al-Qaida personnel to train Taliban intelligence staff." • Mullah Norullah Nori was a senior Taliban commander in the northern city of Mazar-e-Sharif when the Taliban fought U.S. forces in late 2001. He previously served as a Taliban governor in two northern provinces, where he has been accused by the U.N. of ordering the massacre of thousands of Shiites. "Detainee continues to be a significant figure encouraging acts of aggression and his brother is currently a Taliban commander conducting operations against U.S. and coalition forces," a 2008 U.S. military assessment of Nori said. • Khairullah Khairkhwa served in various Taliban positions, including interior minister and as a military commander, had direct ties to Taliban chief Mullah Omar and the late al-Qaida leader Osama bin Laden, according to U.S. military documents. His U.S. lawyers have argued that his affiliation with the Taliban was a matter of circumstance, rather than ideology, and that he had backed away from them by the time of his capture. His lawyers also have argued that he was merely a civil servant and had no military role. In February 2011, former Afghan President Hamid Karzai, through the Afghan High Peace Council, requested that the U.S. release Khairkhwa, claiming he was a "moderate official of the Taliban government" who would "positively contribute to the peace and reconciliation process in Afghanistan." The U.S. District Court in Washington declined to release Khairkhwa. At the time, the Obama administration argued that he remained a threat because of his past association with Omar and actions in the fight against U.S.-led coalition forces. • Mohammed Nabi served as chief of security for the Taliban in Qalat, Afghanistan, later worked as a radio operator for the Taliban's communications office in Kabul and was an office manager in the border department, according to U.S. military documents. In the spring of 2002, he told interrogators that he received about $500 from a CIA operative as part of the unsuccessful effort to track down Omar. When that didn't pan out, he is said to have helped the agency locate al-Qaida members. Source: 2008 U.S. military assessments of Guantanamo detainees released by Wikileaks.